The innovative design is based on the patented FRANK connection technology. This makes gluing and screwing superfluous. The essential detail is the barely noticeable aluminium profile strips, which are precisely inserted into the patented edge profiling of the panes. Sealing materials, such as silicone etc. are not necessary. This facilitates assembly and ensures a long life without maintenance. In an exhibition the artefacts and their presentation are the most important elements. In particular showcases/displays present the exhibits in a special way and fulfil necessary protective functions. 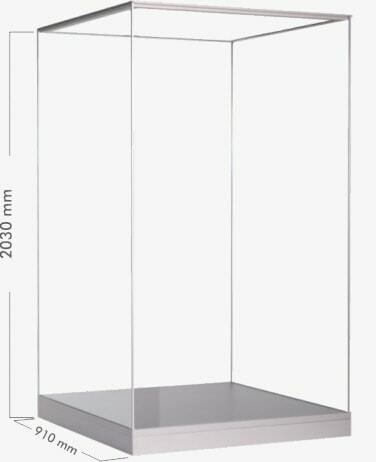 The freestanding ALPHA showcase, step-in model from Frank, has won in its minimalist design international awards and convinced many directors/curators with its maximum transparency. The discreet lines express the lightness of the construction. Function and design are perfectly balanced in all simplicity. This simplicity is the highest form of perfection. Flush with the surface, filigree and high precision integrated connection profiles enable a releasable form closure that guarantees unrestricted reusability of the showcase over time. The semi-modular concept allows the replacement of all construction elements used and offers a maximum of flexibility, durability and cost-benefit ratio. 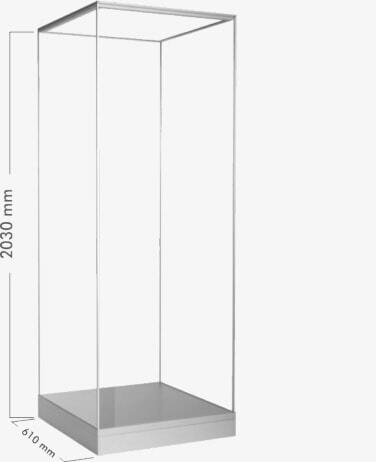 The ALPHA showcase is fully demountable and can be installed (i.e. assembled and disassembled) by one person. Neither silicone nor glue is needed. No visible opening system disturbs the optics. Only selected materials such as glass or aluminium are used. 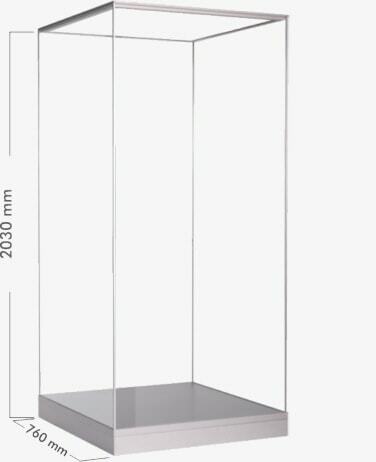 The worldwide unique Frank connection technology guarantees the essential characteristics of a museum display case, a highly stable and vandal-proof display case construction, low air exchange rates, protection by means of concealed edge joints, high quality and easy handling. 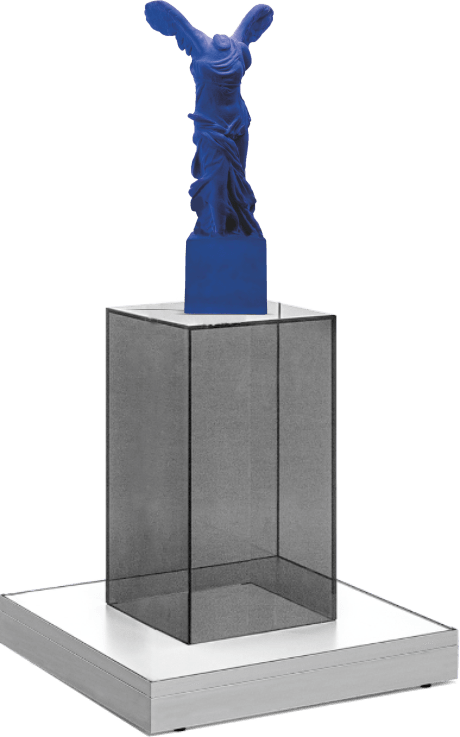 The ALPHA showcases are manufactured with the highest precision and fulfil the requirements and specifications of the international museum/exhibition world. ALPHA showcases are available in three sizes. The 8 mm laminated glass is connected by means of the patented FRANK system, completely without using silicone joints, glue or screws. The invisible system opening is maintenance-free, functional and offers high protection. All components, such as aluminium ceiling and floor frames (with adjustable feet), floor panels and laminated glass, are manufactured to a high standard and give the showcase a high-quality appearance. The prefabricated ALPHA showcase is delivered disassembled and well packed and can be assembled/disassembled in a few simple steps. Detailed assembly instructions are included. Discover the uniqueness of the system - contact us now ! You can send us your message or your request through this form. We will answer you as soon as possible.